“Where are you going? How long will you be gone? Will you be safe?” Since this fall, the Community Connection program in the Chapel Hill-Carrboro City School District has aimed to bridge the technological divide between parents and their children. And Program Manager Darren Bell said he thinks parents should ask their children the same questions when they sit down at the computer as they would ask when their children are walking out the front door. Today, students begin using technology at a young age. In Chapel Hill-Carrboro City Schools district, most of a student’s responsibilities — from assignments to grades— are posted online. The problem is that many parents cannot support their children in their online responsibilities for school because many parents are not trained in Internet technology or do not have the financial means by which they can access the Internet. In the fall of 2013, the Community Connection program piloted a workshop series to help parents of elementary school students who feel the effects of this digital divide. The program was available to families in the Chapel Hill-Carrboro City Schools district to familiarize parents with technology. This February, Community Connection will begin the workshop series again. The program was based on the idea that when parents feel comfortable with technology, they can help their children make smart and safe decisions while using the Internet. According to ProPublic.org, as of 2010, 21 percent of students come from low-income households and received free or reduced cost lunches. Low-income households are the families that fall behind academically because of the digital divide. 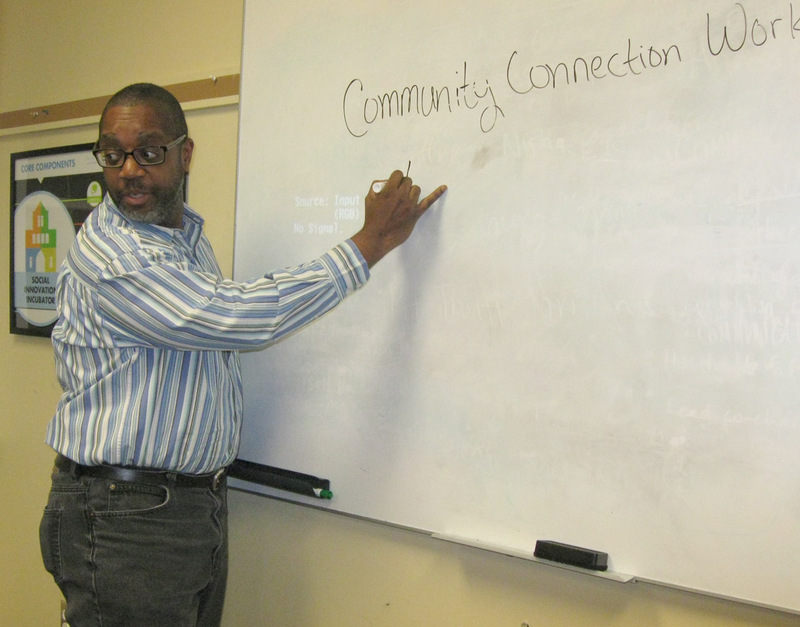 “We just want to help develop a foundation and say, ‘This is what you need to be successful in the Chapel Hill-Carrboro City School district,’” Bell said during a training session for future volunteers. “The program is about putting together support. We want to help 21st century families raise 21st century learners,” he said. Bell said he has designed a curriculum for the program that teaches parents how to set up email accounts, navigate school websites, use Google translate and explore the Internet further. The program consists of five sessions, each 1.5 hours in duration, with the first hour as a discussion forum and the remaining 30 minutes as the hands-on lab. The pilot program launched at Frank Porter Graham Elementary School, a magnet school where many students speak Spanish at home with their family. About 15 parents attended the workshop consistently — a great turnout for a newly launched program. Because of the mix of Spanish and English speakers, Google translate proved to be a helpful online tool for participants and program volunteers alike. Volunteers from the school district and UNC’s Technology Without Borders program came to the sessions weekly to help during the lab portion. The volunteers from the fall will continue to help this spring, along with a handful of new volunteers. The Community Connection program not only addresses the issue of digital literacy but also targets two of the audiences Technology Without Borders has not yet been able to reach: working parents and non-native English speakers, said Osana Osaretin, co-president of Technology Without Borders. Technology Without Borders is an organization dedicated to sharing technological education with the community. Another volunteer from Technology Without Borders, Melanie Johnston, a senior from Wilmington, agreed with Flynn. In addition to partnering with school district volunteers and Technology Without Borders, Community Connection program also works with the Chapel Hill Public Library. The librarians have helped parents obtain library cards and have given tours of the library so that parents can become more familiar with the resources readily available to the public. Though the sessions have helped participants become more comfortable with computers than they previously were, the program has not yet been perfected. Bell said the biggest struggle with the program has been finding an Internet service provider who will help low-income households receive Internet in their homes at a lower cost. Bell said he hopes to find a provider that can support these families — building relationships and creating a support system in the community is what the Community Connection program is all about. For a printer friendly version of this story, click here. Jessica is Arts Editor for the Carrboro Commons and a journalism student at UNC-Chapel Hill.